Could Messi be leaving Barcelona soon? Barcelona president Josep Maria Bartomeu has disclosed that the club is already planning for life without talismanic forward Lionel Messi. Messi joined the Catalan giants as a kid and has grown into an influential figure at the Camp Nou. The Argentine made his senior debut in 2004 and has gone on to make over 600 appearances for the club. The 31-year-old is also Barca’s all-time top-scorer with 581 goals, and has won nine LaLiga titles, four Champions League titles and six Copa del Rey trophies. However, Messi has just two years left on his current contract and could depart Camp Nou once it expires. 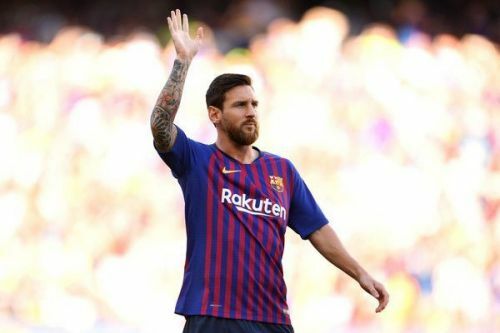 Barcelona president Josep Maria Bartomeu announced that he is aware Messi is reaching the end of his stay with the club, but explained preparations are being made so that the Argentine is not missed when he eventually leaves. He said the club’s recent transfer activity – where Barca have signed a lot of young players – is enough evidence that they are preparing for life after Messi. "I know one day Lionel will say he's retiring. We have to prepare the club for the future. Barcelona have been busy with transfers in the last one-and-half years, having signed the likes of Malcom, Ousmane Dembele and Philippe Coutinho. The club has also signed midfielder Frenkie de Jong from Ajax, with the 21-year-old set to join at the end of the season. In the meantime, Barcelona are expected to bring in more talents when the summer transfer window opens.